Choosing a time to meet usually ends up requiring multiple emails back and forth to choose a date, time and location. A few years ago I found it easier to just give clients access to my schedule so they can pick a time, date and location that best fits their availability. 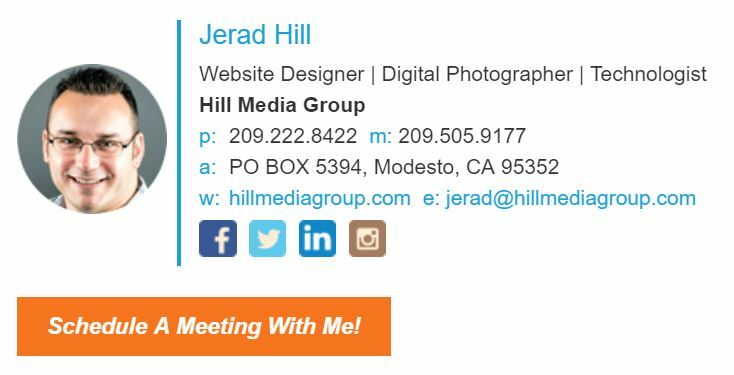 This website makes it easy for people to schedule meetings with me and connect with me online. As a person who considers himself a Technologist, I am always looking for the tools and technologies that help me achieve more and be more effective with my time. I also believe that my client’s time is valuable, so anything I can do to improve that is a win. That is why I created this website.